1) To the Church of Jesus Christ to perform His service and to be governed by his Holy Will, as revealed in the New Testament – (Matthew 28:19-20). 2) Its mission is to glorify God and seek the salvation of souls. 3) To seek a regenerated humanity through a regenerated heart in order to constitute the ultimate “Church of the firstborn, which are written in Heaven” – (Hebrews 12:23). 5) To proclaim the Kingdom of God through the preached word, prayers and hymns of praise. 6) To furnish and support a place suitable for public religious service, where members can meet and fellowship one with another. 7) To see wider diffusion of intelligence, the cultivation of social morals, the relief of human suffering, and the advancement of civilization through Christ Jesus. 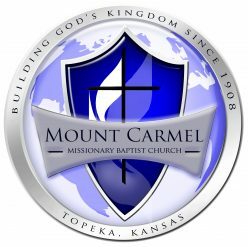 As members of Mount Carmel Missionary Baptist Church, we are called to be the salt of the earth and light of the world (Matthew 5:13-16). We are called to discover and develop our God-given gifts and talents all for the glory of God, our Heavenly Father. We are called to demonstrate God’s love for His people by giving of our time, talents and finances through the power of the Holy Spirit in order to make a difference in the lives of others and those persons who are in darkness. Further, we are called to minister and share the Gospel of Jesus Christ, bless others who are hurting and in need and to glorify God in all that we say and do.